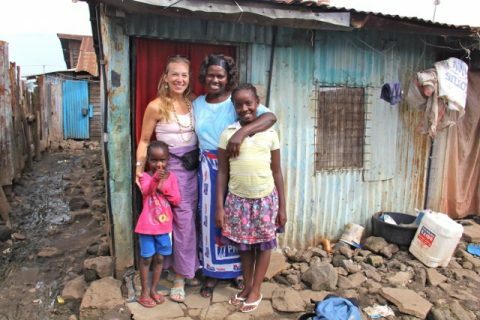 Providing education and support to Nairobi children living in poverty whose families are affected by HIV/AIDS. As of June of this year, we have officially turned eleven years old! And in the past eleven years, Friends of Ngong Road students consistently outperformed their Kenyan peers, achieved higher levels of education, and were employed at rates far above their peers. In fact, 91 percent of our students who have completed a post-secondary course are either employed or on their way to employment in internships. This is compared to just 15 percent of the young adults who try to enter the Kenyan labor market each year according to the 2016 Kenya Economic Report. With such impressive results, we wanted to know why our students have been outperforming and achieving at such high rates. Tulane University also wanted to know what was happening at Friends of Ngong Road to produce such great results. In August of this year, Dr. Izabela Steflja, a professor of Global Development at Tulane University, interviewed 35 of our top performing secondary and post-secondary students. Her goal was to identify what components have been leading to such high rates of success. The initial findings are that it is the web of caring adults that we have wrapped around the students that is making the biggest impact. The consistent school teachers, concerned guardians, caring caseworkers, dedicated volunteers, and sponsors who students do not want to disappoint, all have an impact. While a correlation between the number of caring adults in a child’s life and student success aligns to other research about children affected by trauma, we were surprised to find what an impact sponsors have had on students. Most sponsors do not get the chance to meet the child they sponsor. They do their best to write a few times a year, about twice a year has been our recommendation. And yet, Tulane’s research concludes that the sponsor relationship is integral for students success along with the other caring adults in the student’s life. With these results, we decided we needed to find ways for sponsor and student interactions to be more accessible. Last month we launched the sponsor portal where sponsors can easily write an email to their student, review all historic assessment reports and school marks, learn more about the student’s school, view any photos Friends of Ngong Road has tagged of the student, and more. If you are a sponsor and have not yet logged into your portal, click here to learn more about how to log in and use the portal. From the beginning of their relationship with their sponsored child, Edmond, Bob and Karin worked on remaining authentic and honest in their writings. Karin shared the pain of losing her mother and the joy of their new granddaughter’s birth. She let herself be personal and open, and she thinks this helped create a safe space for the relationship to flourish. Karin said that whenever they heard from Edmond, they would make an effort to respond within a few days, and they would highlight just one or two areas from his letter and respond. 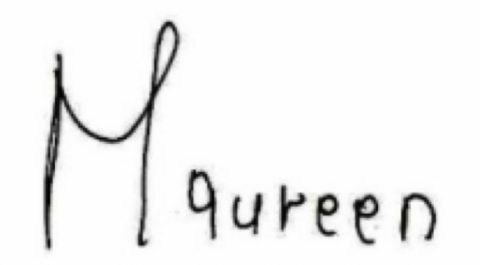 They kept it simple and would write something like, “In your last letter you wrote that “___.” Tell us more about that. Or, “Now we have one other question for you.” Karin said by keeping the communications to just one or two simple questions, they were not overwhelming Edmond and they were able to more quickly respond and keep the conversation going. Bob and Karin also noted that they worked to find common ground. They learned that Edmond loved basketball, so they educated Edmond about the Spurs basketball team in their home state. They would send news articles about Spurs players visiting HIV+ patients and volunteering in the community. Again, they never threw too much to Edmond at once. They kept it to one or two stories and let him respond. Finally, Karin said that Edmond always responded positively to photos she would send. He somehow “inserted himself into our family” after seeing pictures of us with names written on the back or below if in an email. Overall, Karin suggests keeping correspondences simple. Do not fret about responding to everything. Just sit down, write something simple and specific, and let the relationship grow naturally over time. 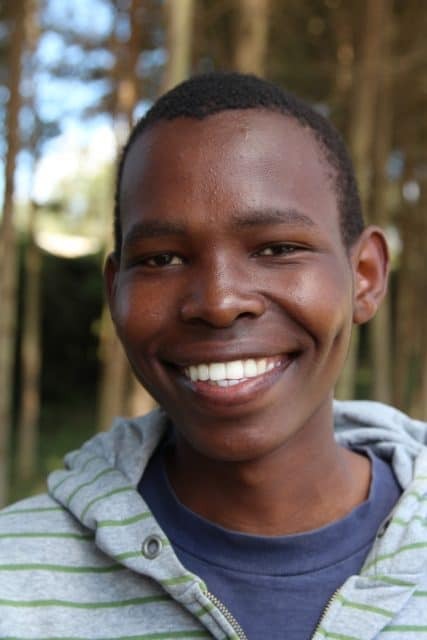 Just last month Edmond completed his Kenya Certificate of Secondary Education exam. The exam results determine what type of a post-secondary education he can be admitted to in Kenya. Bob and Karin are involved in U.S. higher education systems and have been deeply committed to communicating with Edmond about his next steps in his education. Janet Gleason is the mother of Tom Gleason, longtime Friends of Ngong Road volunteer, camp director, and past board member. Tom connected Janet to her sponsored student, Victor, and over many years a wonderful relationship formed. Janet said she communicated most often with pictures. She would send photos of Misty their dog or of flags flying along roads for Memorial Day or the Fourth of July. She would send copies of photos that she received of Victor when he was younger. She found that any time she sent a photo, Victor would eagerly open up with questions and comments. Janet also commented that she was intentional about opening up to hard topics. Tom came back from a trip to Kenya one summer frustrated by the little progress that had been made across the country to provide sexual and reproductive health education and resources and the consequences it had on our students. Janet took a deep breath and decided to write to Victor about the topic. She said that conversation was one of her greatest joys. She trusted that her relationship with Victor was strong enough to dive into hard topics. He always accepted the conversation and appreciated her honesty and openness. Overall, Janet says that she believed in building a long-term relationship with Victor. And it paid off for both Janet and Victor. They are still very connected. 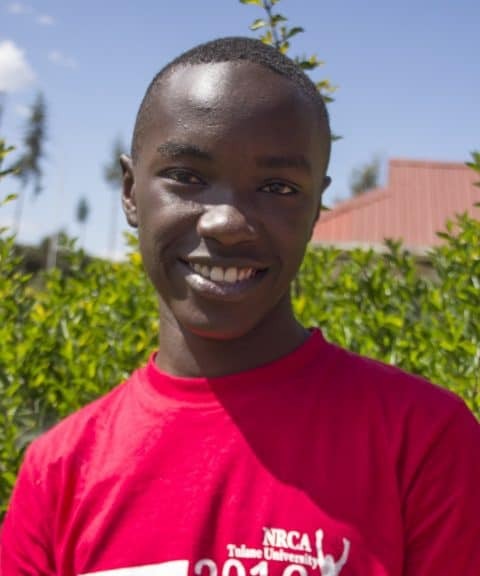 Today Victor is studying Computer Mathematics at Kenyatta University and is a role model for younger students. Midge has had the opportunity to visit her students quite regularly and today has a very comfortable, relaxed relationship with each of them. But it wasn’t always that way. Midge says she remembers a lot of nervousness and shyness when the relationship first started. Midge also commented on how getting to meet the guardians of the children she sponsors really deepened her relationship with them. She is grateful for the relationship she has been able to build with the students and the guardians over the years. Midge suggests being patient with students as the relationship continues to form over the years. She says that students are nervous and do not want to disappoint their sponsors. Plus there is a huge cultural difference that must be bridged over time for a deep relationship to form. Patience for the process and patience for the students can go a long way. Midge is very proud of all of her students. Lydia and Victor graduated from high school and are pursuing higher education in business & finance and procurement & management respectively. Nixon and Enos are entering their senior year (form 4) of high school and Tina is entering her sophomore (form 2) of high school. Several of the students have been leaders at camp and throughout the year among their peers. If you are not yet a sponsor but are interested in what sponsorship entails, please contact Lacey at lacey@ngongroad.org or 612-568-4211. I just returned from my 21st trip to Kenya as the organization nears the end of its 11th year of operations. The organization has made significant progress in strengthening financial controls, an objective that has been in place for several years and is now getting accomplished. The caliber of our new volunteer board of directors in Kenya and the quality of their deliberations impressed me greatly. We launched what I hope will be a dramatically more effective Sexual and Reproductive Health Program, focused first on training Youth Peer Providers who will educate our young people. There’s much to celebrate, but most especially the young men and women whom your generosity supports as they seek to to create better lives for themselves. Winnie Anyango is the eldest child in her family. Her father died of HIV several years ago after a long illness and her mother battles the disease today. Winnie has been sponsored by Doug and Beth Ann Lennick since 2007. Winnie is enrolled in a diploma program at the Kenya Institute of Mass Communications. There, she is studying video production and editing, interviewing skills and related topics involved with television. 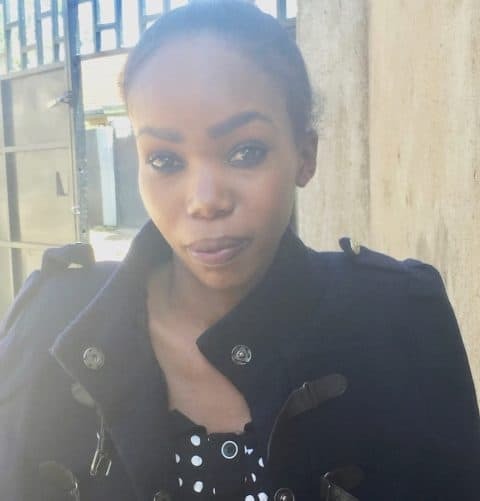 Currently, Winnie is in an internship at a local television station called Mother & Child, which does programming for mothers, families and youth. She went with her team members to a Nairobi hospital where they interviewed doctors, patients and nurses about a childhood disease. Her assignment was to edit the video as they put this program together. After her internship, Winnie will return to school until September 2018, when she hopes to get a job in television production. Emmanuel Titi begins his final year of high school at Dagoretti High School in January. He has been sponsored by Pat and Kathy Halloran since 2009. Emmanuel is Captain of the rugby team at his high school and was especially excited when I met with him, because he and other members of the team were leaving for Kisumu for two to three weeks of intensive training. The high school rugby team will play against other national high schools and if they win Kenya’s national cup the team will go on to Rwanda to play in the East Africa games. When in school, he told me he is focused 90% on school and only 10% on rugby. Emmanuel does best in science subjects – chemistry and biology. Etrose Adhiambo to my surprise attended the Ngong Road Children Association Alumni Gathering on December 2. 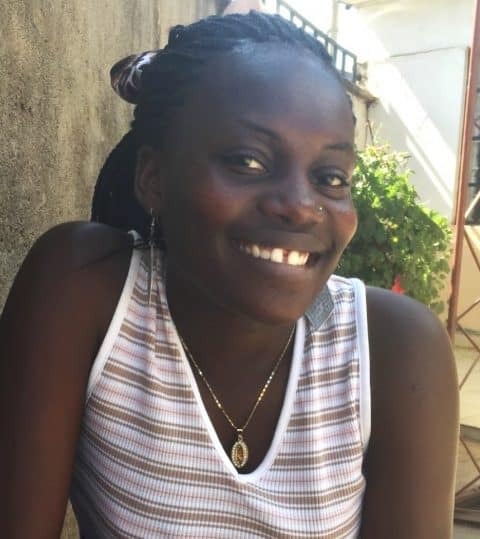 Etrose joined the program in 2007 and was sponsored by Ted and Kathy Truscott until 2016. For me, Etrose is a living profile of mistakes we have made and lessons learned in the program’s first 11 years. 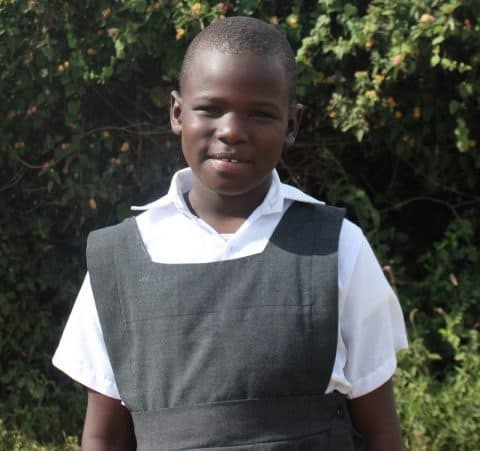 Like most parents, we have not been perfect, yet Etrose has managed to make a better life for herself. Etrose finished 8th grade with a score of 187 out of 500. Today, we would have sent her directly to trade school where she would have graduated in two to three years with a job skill, like hairdressing or sewing. Unfortunately we sent Etrose to high school. She attended three different high schools and ultimately failed her final exams. Etrose then tried a course in food service, but again failed. After that we told her she was an alumni and to her credit, Etrose went out and got a job as a hostess at a restaurant. Etrose still lives in the slums with her mother but now she pays the rent and contributes to other monthly expenses. Etrose has a sweet personality and has always valued the role the organization has played in her life. She promised to stay in touch. Etrose is doing her best with the gifts she has been given. What more can we ask for? A few weeks ago the Managing Director of Pentair in Kenya visited the local office in Kenya. Pentair has been a supporter of the program since 2016, and the manager was interested in learning more about how Pentair is helping to provide education for children in his own community. When guests tour the program and office the tour ends with a personal story from either a graduate of the program or a guardian of a current student. The tour’s final speaker was George Odhiambo, a 2015 graduate of the program who now works as a caseworker in the local office for primary-aged students. George shared his story in more detail than he has in the past. President and Founder, Paula Meyer, was also in attendance at the tour and said it almost made her cry. George explained how his life has turned out thanks to the program versus how it could have turned out. He said that he sees his friends from before his acceptance in the program in his home area, and they are thieves or have fathered many children out of wedlock. 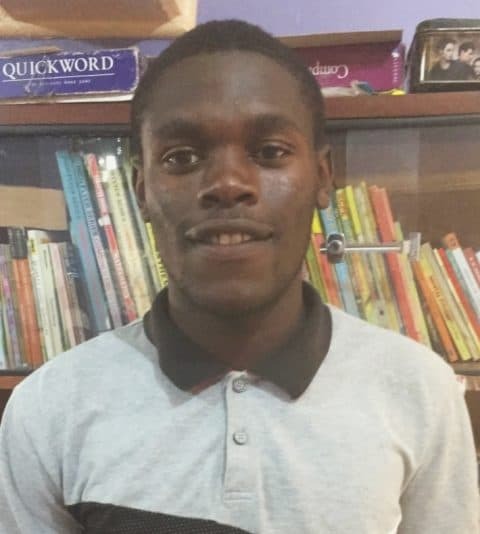 He felt he would not have even been able to finish primary school if not for the program. He is now still living in the slums and spends a large portion of his salary helping three of his cousins to get an education, rather than spending it on a nicer apartment for himself. He is employed with hope and a future. If you are ever in Nairobi or know anyone who will be, let us know! We’d love to show you around and introduce you to the students and staff. To meet and connect with our supporters. I shared my story with them in terms of family background, academic journey, past work experiences and why I am very passionate about working with NRCA. To meet and appreciate our sponsors and supporters in the U.S. for the great support we are receiving from them. To share with our sponsors and supporters our achievements and 2018 plans. To participate in the Portable Sanitation Association International (PSAI) Nuts and Bolts Conference. THe conference is designed for portable sanitation suppliers and operators, and provided a wealth of knowledge and connections for me as I have recently started leading Karibu Loo in Kenya. Attend a training at Minnesota Council of Nonprofits, Leading with a Theory of Change. To speak in Professor Izabela Steflja’s Sustainable Development class at Tulane University. I am happy to report that all the objectives were achieved through the support of our President, Paula Meyer, the Friends of Ngong Road Board (FoNR), FoNR staff and many of the FoNR sponsors and supporters in the U.S.
After meeting our enthusiastic sponsors and supporters, I wholeheartedly appreciate the sacrifice and endless efforts put in to make the programme successful. I wish to thank in a very special way the President of FoNR, Paula Meyer for the warm reception and hospitality she accorded me when I landed in the great country. I felt at home since everyone did his/her best to make me comfortable. I can’t leave out Keith Kale and all the FoNR Board who hosted me on different occasions in Minneapolis and New Orleans. Lastly, I promise to work tirelessly in order to ensure that the programme is vibrant guaranteeing the less fortunate children a future. This is only possible with prudent management of resources. I am more than willing to work with both the Kenyan and U.S. teams to attain our organizational goal. Once more it is a big thank you to all. May you have a Merry Christmas and a prosperous 2018. Purpose: The new portal is designed to foster a deeper understanding for Friends of Ngong Road sponsors of the children they sponsor and to form a stronger relationship among sponsors and students. The portal includes a photo gallery, school marks, child assessments, renewal information and a link to write the sponsored child. **We are currently seeking funding for these projects. If you are interested in underwriting one of these enhancements, please contact Lacey Kraft at Lacey@ngongroad.org. Enter your email address (the one you use to communicate with Friends of Ngong Road). Check your email inbox. You will receive an email with a link that allows you to create a password. Click it. Enter your new password. You will use the same email address and the password you create to login from now on. You can reset the password at any time by clicking the “Lost Password?” link below the login form. See the brief video demonstrating this process here. We welcome your feedback as we continue to make the portal and your sponsorship a positive experience for you and your student(s). Please use the feedback form link at the top of your portal homepage. Or, for assistance and comments, contact Friends of Ngong Road technology and operations team at staff@ngongroad.org or 612-568-4211. Thank you for helping to transform lives through education! PS – if you are not a sponsor but are interested in learning more about the new portal, please contact Development Director, Lacey Kraft, at lacey@ngongroad.org or 612-568-4211. She would be happy to give you a demonstration of the portal and explain what sponsorship entails.